We design, supply, install and maintain vertical gardens. This includes living walls, living spheres, living columns and pretty much any other shape you can imagine. We use a mixture of evergreens and perennials to provide drama, colour and seasonality. We strive to work at the intersection of horticulture and art, delivering products that stand apart from the competition. We have a proprietary hydroponic system that allows us to be amazingly flexible in the scale, shape and scope of our installations. We have experience working in both residential and commercial environments as well as internationally. All of our products are created off-site at our nurseries in Bedfordshire and Devon, where they are allowed to mature before being shipped to site, re-assembled and installed. This allows us to deliver products that look amazing from the day they are installed as well as minimising the installation time. 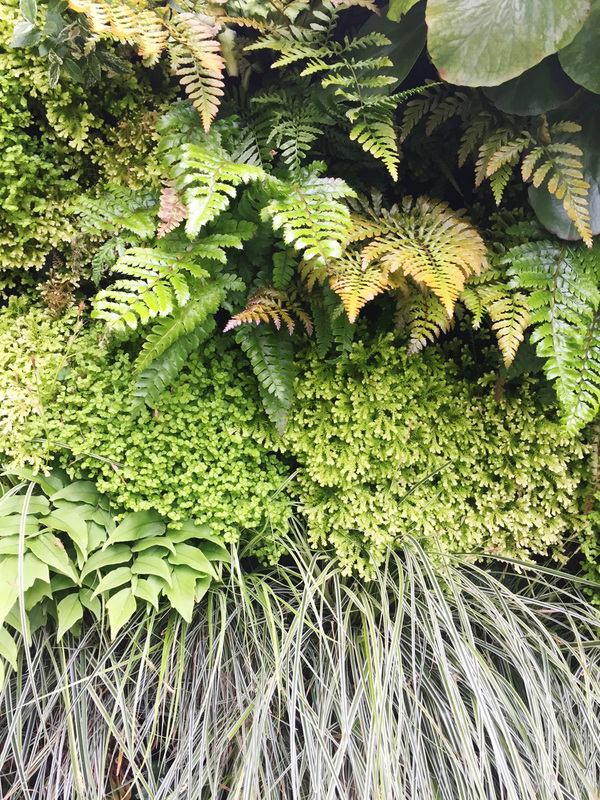 Many living wall suppliers tend to focus on their systems. 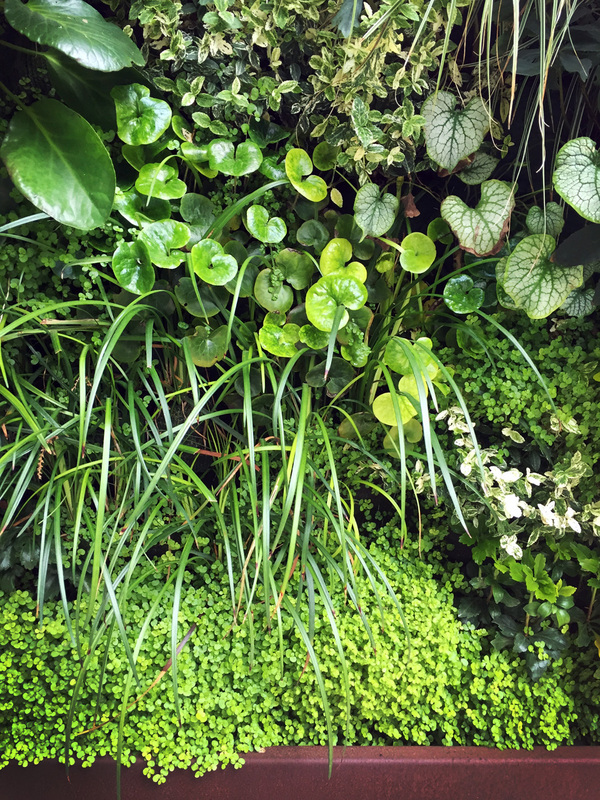 Here at Tapestry Vertical Gardens we believe a living wall should be a thing of verdant beauty, not a study in engineering. That’s why it’s the plants that are our starting point, and our finishing point. Our system has been designed around the plants. It gives us maximum planting flexibility and delivers optimum plant health. It allows our walls to develop and change over time as the plants grow. It enables us to tailor every wall we design to both the location and the brief. Most importantly, it lets us create unique planting plans using a diverse range of colour, texture, shape and size. 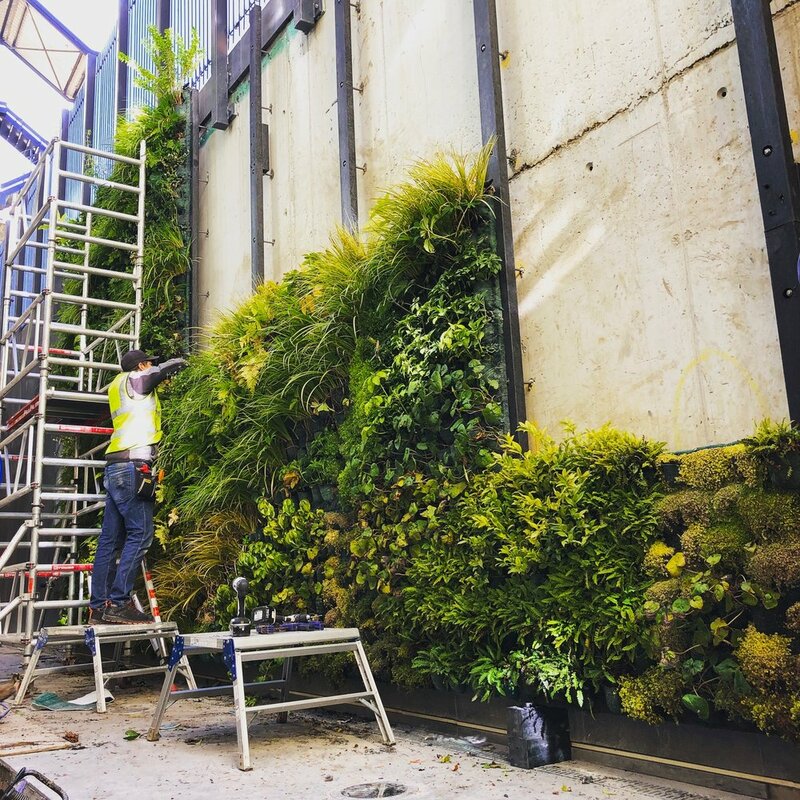 During the last ten years we have worked with garden designers, architects and developers up and down the country installing living walls of all shapes and sizes. On the WORK section of this site you can see a selection of the projects we have completed. We think the results speak for themselves. After a decade of working in two dimensions, in 2018 Tapestry Vertical Gardens launched our first three dimensional vertical garden - a living sphere. Designed initially as an outdoor product, we have now developed an indoor version and have also produced living columns and living chandeliers. All of our living products are hydroponic and have the option of automated irrigation. Tapestry Vertical Gardens is owned and run by Adam Shepherd. 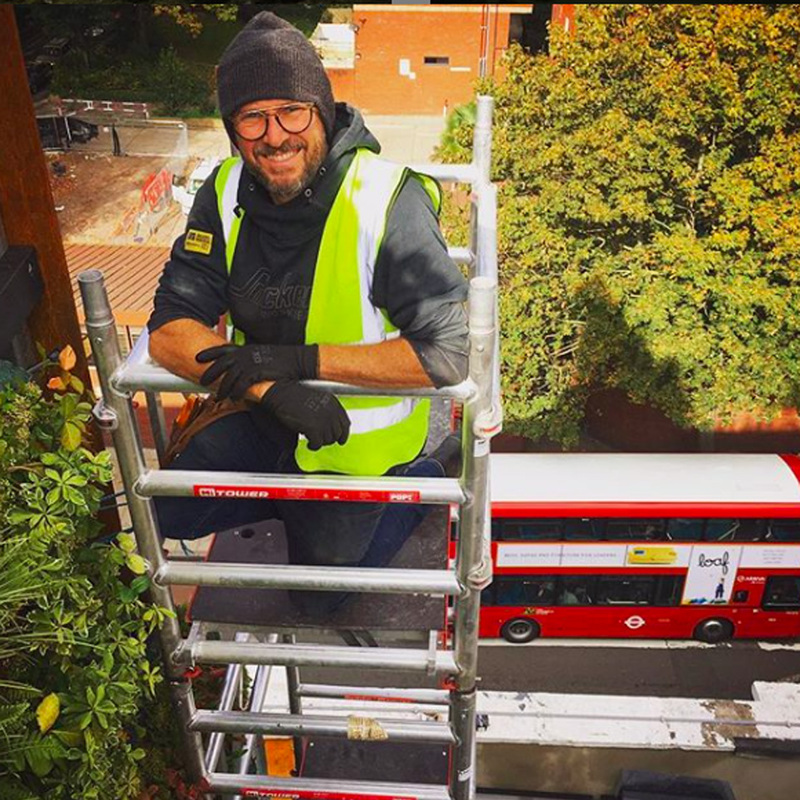 Adam has over twenty years design experience, having moved from the world of graphic design to the world of gardens and living walls following his training at The English Gardening School in Chelsea. He oversees the creative side of the business, from the initial designs through to the final delivery on site. Passionate about plants, Adam also runs our nursery in Devon where he trials new species, develops planting schemes, and produces many of our living walls. Our nursery in Bedfordshire is run by Alan Cooley, an experienced horticulturist who has worked with Adam for over a decade and known him for even longer.